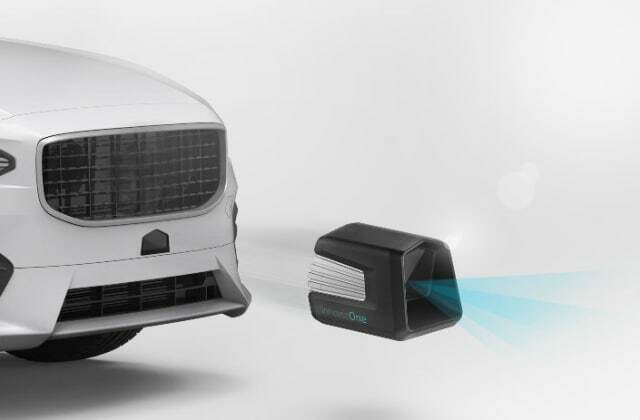 Israeli-based solid-state LiDAR company Innoviz Technologies recently won a CES 2019 award for “Best of Innovation” in its category. The company earlier this yearreleased its MEMS-based scanning LiDAR sensor—InnovizPro—to commercial markets. The CES award however, was achieved for its solid-state LiDAR and computer vision software known as InnovizOne, which has already been picked up by BMW for integration into its 2021 automated driving program. The CES award was delivered in the “Vehicle Intelligence and Self-Driving Technology” category, which is selected by the Consumer Technology Association (CTA). LiDAR has come a long way over the past few years. Whereas the first working LiDAR scanners primarily consisted of $70,000 mechanical hats sitting on top of early autonomous vehicles (AVs), many companies are now switching to solid-state designs. The Innoviz scanner still somewhat resembles a hat sitting on a car, but solid-state LiDAR no longer contains large rotating parts, eliminating many of the problems that are associated with mechanical systems. This MEMS-based solid-state design is where Innoviz got its start in 2016, when it was founded by former members of the elite technological unit of the Israeli Defense Forces, who had experience in the fields of electro-optics, computer vision, MEMS design and signal processing. Innoviz is backed by Aptiv (Delphi Automotive), Magna International, Samsung Catalyst, SoftBank Ventures Korea, 360 Capital Partners, Glory Ventures, Naver and others. Having also won the CES Innovation Awards Honoree recognition for InnovizPro in 2018, Innoviz is now hoping that between the scanner and the software, its two products will prove to be a new standard for the future AV industry. CES—or the Consumer Electronics Show—will be held in Las Vegas this coming January.